So I’m at this black hole conference in Stockholm, and at his public lecture yesterday evening, Stephen Hawking announced that he has figured out how information escapes from black holes, and he will tell us today at the conference at 11am. Extrapolating from the previous paper and some rumors, it’s something with AdS/CFT and work with Andrew Strominger, so likely to have some strings attached. 30 minutes to 11, and the press has arrived. They're clustering in my back, so they're going to watch me type away, fun. 10 minutes to 11, some more information emerges. There's a third person involved in this work, besides Andrew Strominger also Malcom Perry who is sitting in the row in front of me. They started their collaboration at a workshop in Hereforshire Easter 2015. 10 past 11. The Awaited is late. We're told it will be another 10 minutes. 11 past 11. Here he comes. He says that he has solved a problem that has bothered people since 40 years, and so on. He now understands that information is stored on the black hole horizon in form of "supertranslations," which were introduced in the mid 1960s by Bondi and Metzner. This makes much sense because Strominger has been onto this recently. It occurred to Hawking in April, when listening to a talk by Strominger, that black hole horizons also have supertranslations. The supertranslations are caused by the ingoing particles. That's it. Time for questions. Rovelli asking: Do supertranslations change the quantum state? Just for the record, I don't know anything about supertranslations, so don't ask. It's taking a long time for Hawking to compose a reply. People start mumbling. Everybody trying to guess what he meant. I can see that you can use supertranslations to store information, but don't understand how the information from the initial matter gets moved into other degrees of freedom. The only way I can see how this works is that the information was there twice to begin with. Oh, we're now seeing Hawking's desktop projected by beamer. He is patching together a reply to Rovelli. Everybody seems confused. Malcom Perry mumbling he'll give a talk this afternoon and explain everything. Good. Hawking is saying (typing) that the supertranslations are a hologram of the ingoing particles. Yes, I figure he is saying the information was there twice to begin with. It's stored on the horizon in form of supertranslations, which can make a tiny delay for the emission of Hawking particles. Which presumably can encode information in the radiation. Paul Davies asking if the argument goes through for de Sitter space or only asymptotically flat space. Hawking saying it applies to black holes in any background. Somebody else asks if quantum fluctuations of the background will be relevant. 't Hooft answering with yes, but they have no microphone, I can't understand them very well. I'm being told there will be an arxiv paper some time end of September probably. Ok, so Hawking is saying in reply to Rovelli that it's an effect caused by the classical gravitational field. Now I am confused because the gravitational field doesn't uniquely encode quantum states. It's something I myself have tried to use before. The gravitational field of the ingoing particles does always affect the outgoing radation, in principle. The effect is exceedingly weak of course, but it's there. If the classical gravitational field of the ingoing particles could encode all the information about the ingoing radiation then this alone would do away with the information loss problem. But it doesn't work.You can have two bosons of energy E on top of each other and arrange it so they have the same classical gravitational field as one of twice this energy. Rovelli nodding to my question (I think he meant the same thing). 't Hooft saying in reply that not all field configurations would be allowed. Somebody else saying there are no states that cannot be distinguished by their metric. This doesn't make sense to me because then the information was always present twice, already classically and then what would one need the supertranslations for? Ok, so, end of discussion session, lunch break. We'll all await Malcom Perry's talk this afternoon. Update: After Malcom Perry's talk, some more details have emerged. Yes, it is a purely classical picture, at least for now. The BMS group essentially provides classical black hole hair in form of an infinite amount of charges. Of course you don't really want an infinite amount, you want a finite amount that fits the Bekenstein-Hawking entropy. One would expect that this necessitates a quantized version (at least geometrically quantized, or with a finite phase-space volume). But there isn't one so far. Neither is there, at this point, a clear picture for how the information gets into the outgoing radiation. I am somewhat concerned actually that once one looks at the quantum picture, the BMS charges at infinity will be entangled with charges falling into the black hole, thus essentially reinventing the black hole information problem. Finally, to add some context to 't Hooft's remark, Perry said that since this doesn't work for all types of charges, not all models for particle content would be allowed, as for example information about baryon number couldn't be saved this way. He also said that you wouldn't have this problem in string theory, but I didn't really understand why. Another Update: Here is a summary from Jacob Aron at New Scientist. 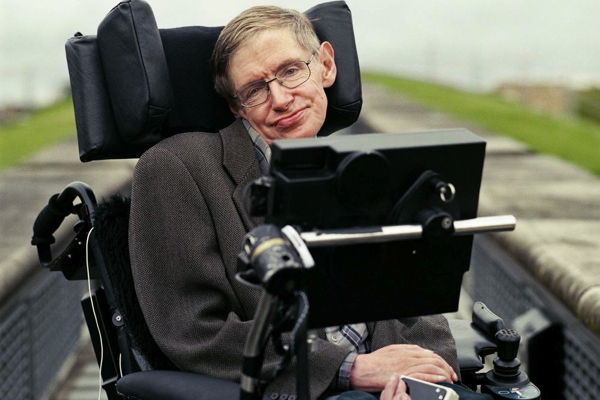 Another Update: A video of Hawking's talk is now available here. Yet another update: Malcom Perry will give a second, longer, lecture on the topic tomorrow morning, which will be recorded and be made available on the Nordita website. to be honest, I do not understand anything. I do not want to say that your post is wrong or so, but simply that I am extremely puzzled. "As your blogger at location I feel a certain duty to leak information ;)"
Some observations and questions "fresh of the mind". 2) From your comments and people at the talk, we will have to wait for the Perry talk and, likely, to the release of the paper of this stuff... Doubling the information, again...Feels odd and weird to me specially coming from classical gravity at the beginning? 1) How does supestraslations save the information? What happens to the firewall problem and the event horizon in this approach? The mechanism which "saves the information and the day" is not clear to me. Is he /are they proposing that ingoing states have double size from that we thought? 2)I don't understand what 't Hooft means why not all the states/field configurations are allowed. It sounds to me like some sort of "superselection" rule for BH states... Maybe I am wrong or I am understanding the "big picture". "Somebody else asks if quantum fluctuations of the background will be relevant. 't Hooft answering with yes, but they have no microphone, I can't understand them very well." I also never could understand quantum fluctuations without a microphone. Why are they so shy? Let them watch a video of Roger Daltrey or Freddie Mercury to learn how to use a microphone properly. Yes, you are right, it has nothing to do with supersymmetry. I don't know if the horizon is still eternal or not, but I assume not. I'm guessing this because Hawking wrote this in his last year's paper and also because it's the more common scenario. I don't know what 't Hooft meant either, and I am also not sure if he was referring to Hawking's proposal specifically at all, or if he was extrapolating from his own research which he talked about yesterday. I don't want to get in a position where I'm second guessing what people said about somebody else's ideas, so I'll stop here. If you double the information from the beginning you have the initial state twice, basically. You throw it away once and still have all the information. If you have a product of two pure states and throw away one, you still have a pure state. Then you can push the second copy into the outgoing radiation, if you know how - that's what I think the supertranslations are good for. Though this isn't the image that Hawking suggested. I think he was saying that you have the information at I^- and I^+ and that this is the same information as on the horizon. It's very similar to AdS/CFT just that you don't need the AdS boundary. Anyway, I still don't see how you can do this without quantum effects of the metric. If you use only semi-classical gravity I think you need some additional argument to keep all the information. But quite possibly I am missing something. Thanks for sharing this event with the readers of the blog, very intriguing. Bee: Hawking is saying (typing) that the supertranslations are a hologram of the ingoing particles. Hologram? You mean like, Hogan's Holometer example? Just a short comment on: what are supertranslations? Usually, people in GR talk about certain transformations of the asymptotic region of spacetime (scri+ and scri-) which preserve the asymptotic structure. The group of transformations is known as the BMS group (Bondi, Metzner, Sachs). The important point is that BMS is much larger than the Poincare group (Poincare is 10 dimensional). The BMS group, meanwhile, contains Poincare but is infinite dimensional (scri is "floppier" than Minkowski, so there are more ways you can push it around and still preserve its structure). The BMS group is a semidirect product of the Poincare group and things called "supertranslations". Let's say you have a collection of observers on a 2-sphere hanging out near scri, and they all agree on what time 0 is. This defines a slicing of scri (already notice how different this is than in the Minkowski setting). A supertranslation is a direction-dependent reslicing of scri. It is parameterized by a smooth function on the 2-sphere, so the BMS group is infinite dimensional. This is the usual story for asymptotically flat space. The connection with black holes is that the event horizon has a similar symmetry group, though not the same. Everything above has been classical. Where quantum mechanics enters is that states at scri or at the horizon should, in principle, live in some representation of the corresponding symmetry group. We usually think of scattering experiments in Minkowski, where particles are in some representation of the Poincare group. However, this is missing a huge amount of data if we're doing a scattering experiment in spacetime—states should live in a rep of BMS, not Poincare! The representations of BMS can in principle contain much more information. Leo, yes, exactly that's the group in question. Hologram as in the AdS/CFT correspondence I assume. "Hawking is saying (typing) that the supertranslations are a hologram of the ingoing particles." Sabine, isn't this black hole complementarity or something very close to it? Well, kind of. Bh complementarity is actually a quite vague idea. It basically only says that the information falls both in and goes out. Now if the information was not originally there twice to begin with, this causes you a lot of problems. It's these problems that are prevented in the Hawking-Strominger-Perry scenario. Many thanks for your report :) I was looking forward to hear something about his talk and his big proposal! Strominger has extensively published 3-D chiral gravity. 2-D CFTs are chiral (Witt algebra). Higher-dimensional CFTs appear in AdS/CFT correspondence. Gravitational theory in AdS is a conformal field theory on the AdS boundary. Left- and right-moving Virasoro algebra; chiral and antichiral fields Is this new paradigm mirror-symmetric? What is the fundamental shape of space? The universe exercises perverse delight in violating our aesthetics. An avalanche does not consult with pebbles. These are BMS supertranslations as in http://arxiv.org/pdf/1411.5745v1.pdf (PDF), right? I'm writing for Huffington Post. Can I quote you as saying "The only way I can see how this works is that the information was there twice to begin with". (as you write in this post)? What I have gathered so far: the symmetries of (radiative modes) at null infinity enable us to escape from information loss in black holes. Question: Is string theory merely a one explicit realization of "BMS asymptotic supertranslation symmetries", and that is where all its miraculous properties come from? (and why it doesn't work is because there are many, many, many realizations of "BMS asymptotic supertranslation symmetries" (e.g., I suppose for a confining theory like QCD we don't know how to realize "BMS asymptotic supertranslation symmetries") , and string theory is not the right one? It seems that he doesn't use his finger anymore. He has a motion detector that trails the left border of his mouth, at least this was shown in the video. What are the particles that correspond with the representations of the supertranslations on the BH horizon ? Gravitons ? The only clear thing is that none understood anything. Is this a new way of communicating scientific results? As a sybilline facebook status? Suspence, photographs, vague announcements? Why didn't they wait to submit the paper without any sensationalistic preview? It is even more sad when renowned top scientists behave in this way. Thanks for the answer. I'm a physicist as well so I know how it works. I'm not against talking about unpublished or even unfinished work, in principle. I just wondered if a supposedly important result should be disseminated in this way. This is due to a more general concern about how science is usually conveyed with new media by scientist and science journalists, but I would go OT. Ok, thanks for the clarification. I share your concerns. So I take it that this means that Hawking, Perry & Strominger believe they have disproved the no-hair hypothesis in (classical) general relativity, and that if you drop something into a Schwarzschild or Kerr metric and wait until the ringdown has finished, you get not a larger exact Schwartzchile/Kerr metric, but something with permanent supertranslation distortion applied to it? If so, I assume that the numerical relativists who studied black hole mergers and claimed to have solved them back in 2005 will soon be kicking themselves for not having noticed this earlier (or not having had the courage to believe that the results were true rather than numerical errors if they saw them). Imagine that all physical degrees in a ball-shaped region of radius R falled into a region in the centre and formed a black hole, let say this black hole has radius r. But all those physical degrees can carry information that goes up to 4*pi*R^2/Planck area, larger than the maximum information that can be carried by the event horizon of the black hole: 4*pi*r^2/Planck area. No, it can't - that's the whole point. Try to quantify your "guess" and you'll see. I promise you that you will not able to find a system which succeeds in that. And please take into account quantum uncertainty that prevents you from perfectly localizing states. Generally I recommend you check the literature before you go around "guessing" that something which thousands of physicists have reconfirmed for decades is wrong because of an idea you had yesterday. I do read some review papers on black hole information loss problem but they mostly do discuss the option that the information is stored on the surface, and its relation to holographic principle. I am definitely not claiming I solved anything, I am just asking you a question that I do not understand, as asking a question to an expert is much faster than searching through papers. I cannot find a question in your comment. What is your question. You’ve touched on my question with Arun, but I’d like to ask it in a more general sense. Are (most, some, none?) of the propositions of this new theory (e.g. supertranslations and BMS/Poincare group) resulting from the application of string theory? I’m okay with AdS/CFT correspondence as relevant geometric dual, and above you seem to suggest this involves only that, with no dependence on string theory. However, I'm having a bit of trouble fitting "supertranslations" as described into the AdS/CFT concept. That certainly cleared things up. Maybe not. Perhaps it would be best to wait until a paper is out instead. I think that most important that the supetranslations in minkowskian spacetime,would be the superrotations that modificar the radiations ingoing as superreflections of outgoing as advanced and retarded potential in the spacetime forward and backward in time,measured by the transformations of rotational invariance being broken,and leading to the PT symmetry breaking ,where the particles are ingoing and outgoing in the bondaries of the curved spacetime,where such transformations are made in 360 degrees with superotations,to particles travellng forward in time and backward in time as antiparticles,in the case appear quantic vaccum fluctuations ,that are holes in the spacetime,and due the gravity breaks Pt in the curved spacetime,appearing the particles and this antiparticles escaping of the event horizons and antiparticles travelling forward in time as particles travelling backward,then this antiparticles escaping for out.then These superotations will go beyond the boundaries.then the Gladestone bósons are massless and appear as superspins modifying the spacetime geometry and of the particles and antiparticles generating excess of photons as white and black radiations conserving the energy. Carrying radiations for the called software hair. The origin of mass. Or, the pion’s PR problem.